THE GOVERNMENT IS to announce its plans for the sale of some State assets today. 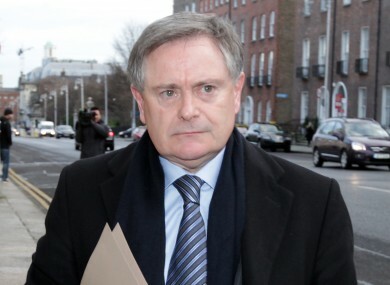 Minister for Public Expenditure Brendan Howlin is expected to give details on what government-backed companies will be sold later this morning. The selling of State assets is a requirement of the deal with the troika. Bord Gáis, the government stake in Aer Lingus and part of Coillte are all believed to be likely candidates for sale. The Cabinet last night reached a final agreement on which assets will be sold off, according to the Irish Times. One senior Labour TD has already criticised the programme agreed by the previous government which committed Ireland to selling off State assets. “If you were to ask me, I don’t like being in this position at all – but that’s the position we’re in,” Minister with responsibility for natural resources Pat Rabbitte said last week. Former Minister for Finance Brian Lenihan created a review group in July 2010, led by UCD economist Colm McCarthy, to advise on the future of commercial semi-states. The group’s report recommended the part-privatisation of ESB and CIE and the full privatisation of Dublin Bus, and suggested the State could make €5 billion in the sale. Email “Government to reveal which State assets are up for sale”. Feedback on “Government to reveal which State assets are up for sale”.